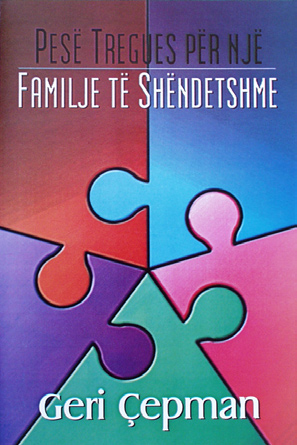 Sot ekzistojn� familje me nj� themel t� fort� e t� sh�ndosh�. N�se d�shiron t� kesh nj� model p�r familjen t�nde, at�her� duhet t� m�sosh se si t� dallosh e t� aplikosh cil�sit� q� k�to familje kan�. Zbulo karakteristikat e p�rbashk�ta t� t� gjitha familjeve t� sh�ndetshme dhe m�so si t�i aplikosh n� sht�pin� t�nde me an� t� leximit t� k�tij libri. P�rmbatja - Table of Contents Today there are families grounded on a firm and healthy foundation. If you want to have a model for your family, then you have to learn how to discern and apply the qualities these families have. Discover the common characteristics of healthy families and learn how to apply them in your home by reading this book.